French fries are so good. I love making my own fries. My mom always made them. She hardly ever bought them. Potatoes- My rule of thumb is 1 to 1-1/2 potatoes per person. If you have a deep fryer, fill it with oil and heat it to 350 degrees Fahrenheit. If you don’t have one of those, just pour oil into a wide deep pan and heat oil to 350 degrees Fahrenheit. While the oil is heating, make your fries. Peel if you want. Or just leave them unpeeled. Cut into fries the size you want. Slice them and cut each slice into lengths. 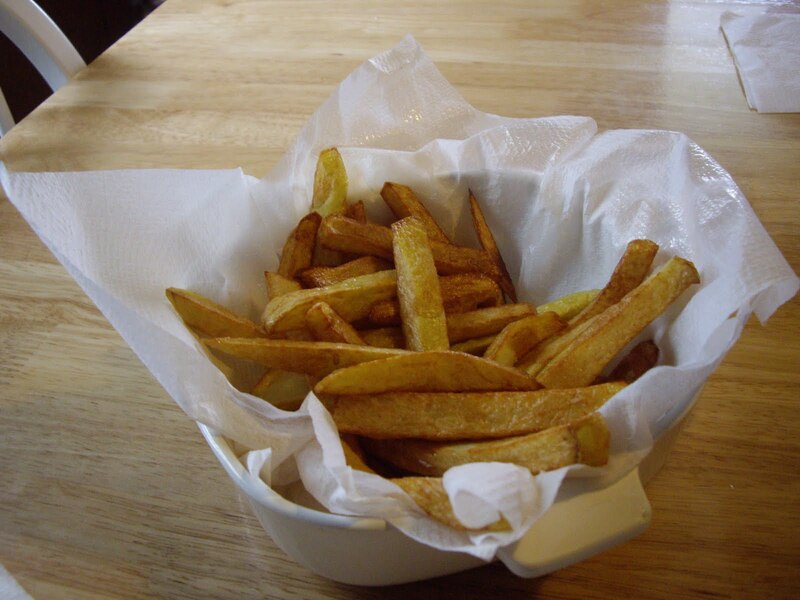 With a slotted spoon or a fry basket, lower the fries into the hot oil. Now, if you want to get crispy on the outside fries- fry for 1 minute and remove fries for 10 minutes. That is the blanching stage. Add back to oil and fry for an additional 5-6 minutes. They will seem crisp at first without the blanching stage, but won’t stay as crisp without it. If you don’t care if they are super crisp, just add to the fryer or pan and fry for 5-7 minutes.